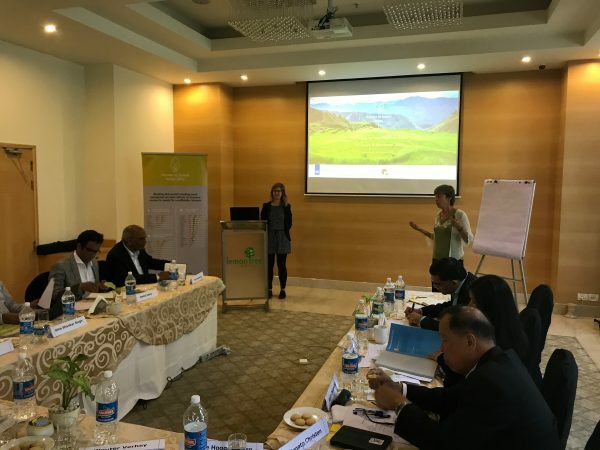 Seed experts from countries in South and Southeast Asia met in Hyderabad, India on 24 October 2017 to discuss the outline of a regional Access to Seeds Index. Experts stressed the importance of assessing in more detail the way seed companies reach women farmers. “Due to urbanization, the region is experiencing a feminization of smallholder agriculture. For example, how many female marketing and sales staff and extension workers does the company have in the field? Male staff will find it much more difficult to reach female smallholders,” one expert stated. Additional research will also be carried out on additional companies that can be added to the list of leading companies, as experts felt that the provisional list of leading companies included in the scope for South and Southeast Asia was not yet complete. “We need to make this a ‘pinching’ instrument for the seed industry and its investors,” said one expert. 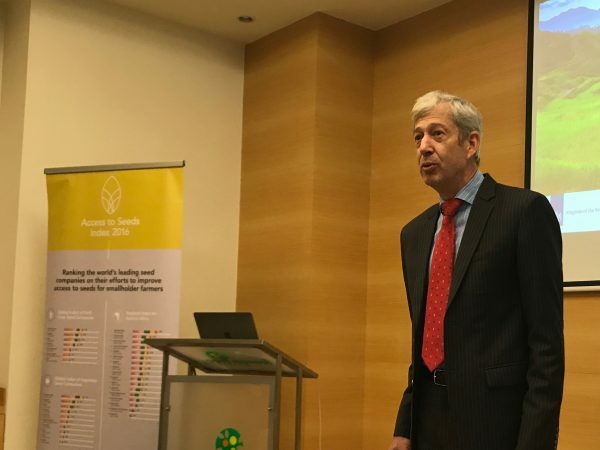 The meeting’s comments and discussions are an important input to fine-tuning and further optimizing the methodology for a first Regional Access to Seeds Index for South and Southeast Asia. Expert Review Committee for South and Southeast Asia. 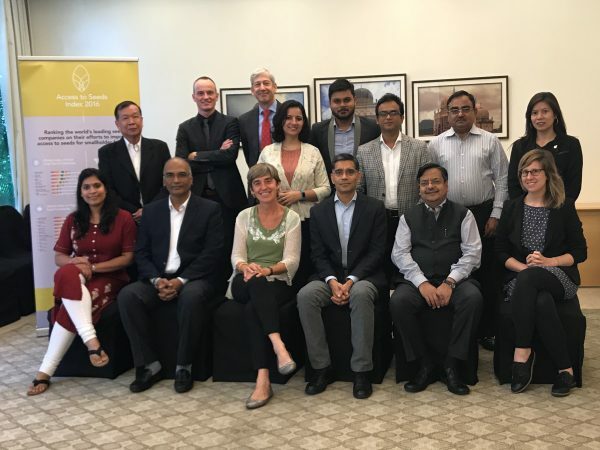 In front: Ms. Aarti Misal, Mordor Intelligence*; Mr. Ram Kaundinya, Advanta Ltd & Member Global ERC; Ms. Coosje Hoogendoorn, Access to Seeds Index; Mr. Ajay Vir Jakhar, Bharat Krishak Samaj (BKS) & Member Global ERC; Mr. Anil Jain, Chrystal Crop Ltd & Member of the Access to Seeds Supervisory Board; Ms. Renata Christen, Access to Seeds Index. Standing: Mr. Vinich Chuanchai, Thai Seed Trade Association; Mr. Ido Verhagen, Access to Seeds Index; Mr. Wouter Verhey, Embassy of the Kingdom of the Netherlands in India; Ms. Bharti Malhotra, Mordor Intelligence*; Mr. Shubham Jaiswal, Mordor Intelligence*; Mr. Amirul Islam, Asian Farmers Association; Mr. Uma Shankar Singh, IRRI; Ms. Orachos Napasintuwong, Kasetsart University Bangkok.